﻿ PromoBaby.pl - Pampers, Active Baby-Dry, pieluchy 6 Extra Large, 15+ kg, 44szt. Pampers, Active Baby-Dry, pieluchy 6 Extra Large, 15+ kg, 44szt. 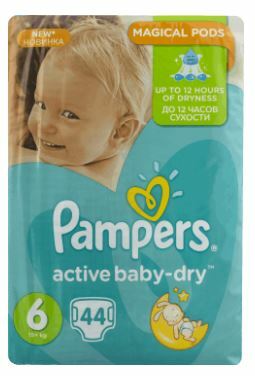 Pampers, Active Baby-Dry, pieluchy 6 Extra Large, 15+ kg, 44szt., 44,99zł/opak., tylko z kartą Rossnę!